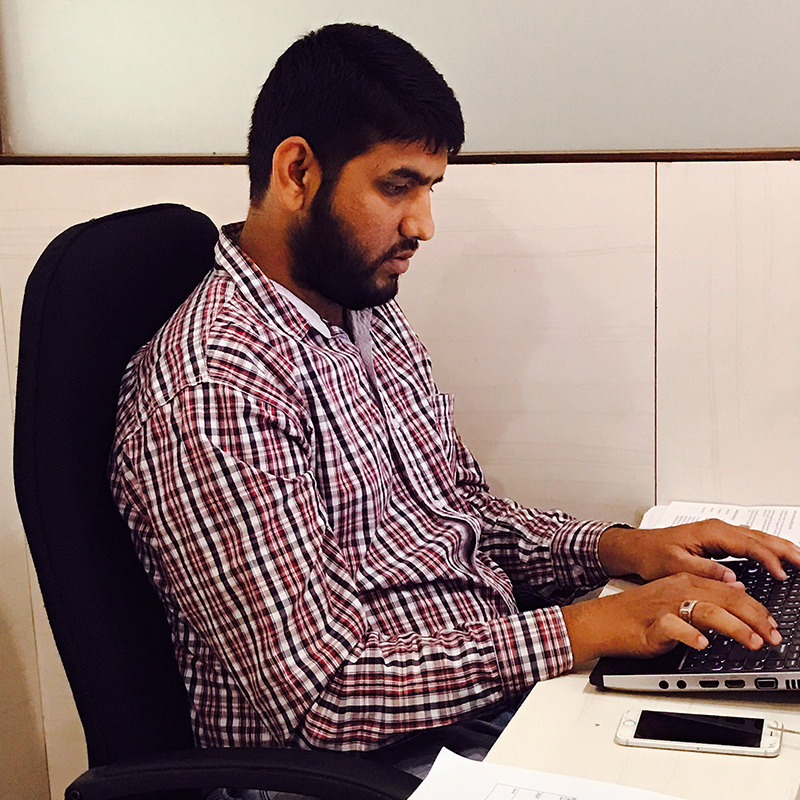 Amidst his busy work schedules and hectic life, Aeijaz took out some time to tell us about his future plans and agendas for eZee. He speaks on how his journey has been so far as eZee’s CEO, how he intends to move ahead with the whole team. Besides that, he also speaks on employee engagement and business expansion. How has your journey been so far, as eZee’s CEO? [Aeijaz] I’ve been a part of eZee since last 8 years. Starting from a support executive to operations head of Malaysia office and to the CEO; the journey has been exciting and challenging. Since taking over as eZee’s CEO, I am actively taking more responsibilities and concentrating on understanding the basics, rather than arranging closed door meetings. I have been trying to learn about the team’s thought process and customers’ expectations with an intent to align both. Being a CEO of a multi-faceted company has helped me grasp the pain points and requirements of our clients, partners as well as team members. I haven’t been to any trade event, exhibition, seminars or got involved in much of the sales activities in the past year; but I’ve tried to be a part of each operation going on in the organization. It isn’t that complex, if you stick to fundamental things and put your maximum bandwidth in the right place. eZee stands strong on three of its pillars: clients, partners and team members. And at the end of the day, solving their problems is a big joy knowing that I am able to keep all of them content and happy. How do you boost your team’s morale? [Aeijaz] Encouraging all the team members for their active participation in business endeavor is primary objective of the company. Since the beginning, we have maintained an organizational transparency such that every team member feels free to share his thoughts and ideas. Most important aspect, is that we do not believe in bosses having their ‘closed door’ cabins which may be a hurdle for reaching to base level members. The department heads create an active synergy by working closely and sharing same space with their team. Regular and fair performance evaluations are done acknowledging their involvement and efficiency. Around 70 team members in various departments were recruited in the past one year. We have several engagement programs like Employee Referral Program and even Innovation Reward Program, encouraging the team members in giving their best to the organization. Moreover, apart from professional sharing at workplace, we make sure that all employees participate in extra-curricular activities like picnic and sports leaving aside professional barriers. What is your core strategy for 2017? [Aeijaz] One of the strategies for 2017, is to ensure customer delight. Rather than spending high on marketing to acquire customers, we plan to spend on customer satisfaction attracting more of referral business. We want to hear a ‘WOW’ from every customer that enrolls with us. That is why, we are spending huge in terms of support and technical manpower which will eventually delight our customers. Before we ensure that we have a strong support team ready to give exceptional support services, we won’t go for higher customer acquisitions. With this, we have started working on the next round of advancement, improving the user interface of our products and making them the most adaptable and flexible. Rather than adding features which are useful to limited customers, we want to majorly focus on our existing customer base, making their experience better with us. What are your major challenges at this point? [Aeijaz] Each business has its own set of challenges while moving ahead in the industry. Gaining pace in expansion, we are adding huge customers, and also doing massive recruitment. As Surat city is not a IT hub, availability of relevant experienced staff is scarce. The biggest challenge lies in getting people prepared and ready to provide excellent support and services to clients. Other thing is to make the team members know how to empathize with clients, understand their background along with regional level policies and requirements. Once we furnish new team members with case studies, knowledge banks and provide overall training; only then, we can expect to get positive reviews from all our clients and partners. How does eZee stand-out from other competitors? [Aeijaz] Since its inception, eZee has catered to the needs of all kinds of establishments in the hospitality industry. Be it a budget hotel, luxury hotel, chain of hotels, stand-alone restaurants, bakeries, cafes, or chain of restaurants; eZee has maintained a niche position in providing a suite of integrated hospitality solutions which are developed taking into consideration the minutest operations of hotel and restaurant management. The launch of our cloud technology platform – eZee Ultimate demonstrates the same. With no investment and no contracts; this platform will enable hoteliers to take complete advantage of prevailing technology. We nurture a professional team of more than 150 members including developers, support, deployment, marketing, sales, accounts, customer relationship, etc who are poised to provide users with excellent services. We carry a bundle of varied levels of clientele from South Asia, Africa, Americas, Australia, Gulf countries, Europe, etc. With that, we also have a strong channel partner network offering our products and services in all corners of the world. What do you have to offer for smaller hotels? [Aeijaz] We provide solutions for all class of hoteliers. But, for small and mid-sized hotels, we launched eZee Ultimate, a complete hospitality technology platform available at no cost, with an aim to equip them with latest technology and helping them establish their brand name in the market. Harnessing a decade of power packed know-how, eZee’s solutions are seamlessly integrated which consists of several interfaces providing basic as well as ancillary services at very competitive rates to hoteliers. The clientele base of eZee includes a big list of small and mid-sized hotels which form a solid base making eZee a prominent game changer in hospitality industry. When did you realize that eZee should offer no investment plan called eZee Ultimate? [Aeijaz] Understanding hospitality market scenarios and unique requirements of the industry, eZee has always been a forerunner in offering the most reliable and efficient hospitality solutions. Over the years, we perceived the need for technology in the industry, especially for small and mid-sized hoteliers. Limitations in infrastructure and financial aspects have always kept them from investing in technology until now. So, the first thing which came into our mind was to devise a no investment strategy, in order to equip all kinds of hoteliers with cutting-edge technology. On that basis, we contemplated and put forth eZee Ultimate – a range of technology platform available at no investment and no subscription fees. With time, eZee Ultimate has been established in almost all hotel segments; and we intend to spread it far and wide empowering hoteliers extensively. What are the benefits of eZee Ultimate for hotels? [Aeijaz] The major benefit which eZee Ultimate renders is; absolutely no investment and no lock-in contract for a suite of integrated solutions. Hotelier pays a minimal amount only for the confirmed online bookings he gets, a compelling transaction based model of business. Hotelier can manage his daily operations and inventory distribution from a single dashboard and eventually he won’t have to deal with multiple vendors to manage different systems. Instead, in eZee Ultimate, he will get all the solutions under one roof. Not all companies provide all-in-one solutions for hotel management. We’re also offering free hotel website in eZee Ultimate and it plays a major role in increasing direct bookings of a hotel. Do you find opportunity in hotel solution apps? [Aeijaz] Considering the ever-evolving demands of smart phone engagements and their usage, a space has opened up for creating mobile apps which are handy and can be operated from any place and at anytime. Just recently we launched eZee Absolute App, the simplest PMS app and eZee Centrix channel manager app to allow hoteliers to track hotel happenings on the go. These apps will give them access to hotel management system, manage inventory distribution and rate updates from their smart phones respectively. We also have digital restaurant menu apps – eZee iMenu and eZee eMenu, available for Android and iOS. Besides this, we have Appytect used by a hotelier to build their hotel mobile app. We are also planning to come up with an app to manage mini-bar and house-keeping operations in near future. What are your comments on partner network and business expansion? [Aeijaz] Partners are integral part of our business and they are in eZee’s business endeavor since its very beginning. Our partners create and develop business in their regional off-shores. We have covered several regions up till now and many are yet to be conquered. Right from sales, to team building for support, we provide support to our partners which form an essential base in streamlining their business. So, for business expansion of our network; we did our first angel investment in a start-up – Travinns Technology LLC, a Bangalore based hospitality revenue management firm. Further, eZee plans to expand on global level developing alike partnership with similar hospitality and revenue generating firms. Nurturing our global business partnership, we offer them business insights, newsletters, advertising, promotions through exhibitions and personnel assistance flying from head quarters at Surat. How is eZee getting armed with future plans? [Aeijaz] We are a bootstrapped and profiting IT company. We have a clear idea on where we want our product offerings to go. In the coming future, we will produce less, but whatever we produce, we want to give a remarkable factor to it. Right now, we are just concentrating of better customer experience and top notch support. The rest we believe, will fall in place automatically. Besides this, we plan to release a cloud restaurant POS system – eZee Optimus in some time to facilitate restaurateurs with the benefits of cloud technology and simplified operations. We have instated a new team for outbound sales; focusing on the aspect of canvassing campaigns, thereby reaching out to the hoteliers in the comfort of their own offices to explain the benefits and importance of emerging technology for their business. Unlike our inbound sales-force, this team will majorly concentrate on widening eZee’s reach across Indian sub-continent entrusting hoteliers with technology. eZee has advanced exponentially since Aeijaz took over as the CEO. Myriad of partnerships, growth in infrastructure and team size, and an impressive enhancement in customer services – 2016 brought around a noteworthy year for eZee. Aeijaz has been a instrumental part of eZee’s growth trajectory over the years. A strategic leader, he was appointed as eZee’s CEO in November 2015. He is acquainted with the know-hows of the hospitality industry and intends to walk progressively with the whole team and establish a firm presence of eZee in the industry.